This emergent reader is a great way to get your little ones excited about reading! 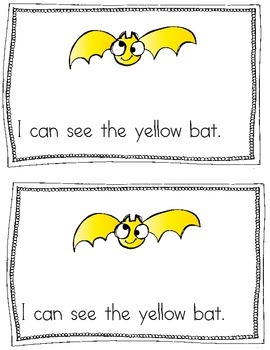 The story is repetitive and uses sight words and color words! It also uses the vocabulary word bat...which is also a great way to work in the -at family! 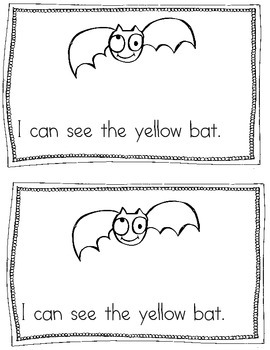 Sight Words: I/can/see/the/ and the color words! 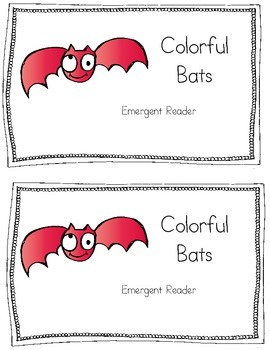 This emergent reader comes in BOTH color and black & white! The black and white copy is provided if you want it to be a little more interactive for your little ones!